Soon after I started reading about Montessori education I learned that it is not just about what is done in the classroom environment, where my children only spend a couple of hours a day, four to five days a week. I have since made changes to the rest of our home environment as well. I started with the kitchen where we seem to spend the majority of our time each day. Pre-Montessori, both of my children used highchairs for meals, coloring, and other potentially messy activities. Now, they have the option to dine on their own small table and they love it. I wasn’t too sure about setting up a separate table for them because I prefer that the whole family eats together at the same table. So now we change it up… when it’s just the three of us I sometimes pull up a little chair and join them for meals. Once my husband is home, the kids usually eat at their table while dad and I eat at the regular table not far from them. We’ve kept the highchairs around so they sometimes still use them when they feel like sitting next to mom and dad. Where they eat, is up to them. There have been other changes in the kitchen. Instead of it being “mom’s kitchen”, it became “our kitchen”. CC and RJ now help with what they can. Depending on the menu, they may help me with meal preparation and they are very good about clearing the table when they are done eating. They now have their own drawer in the kitchen which stores their dishes and utensils. Below is a picture of CC and RJ getting items out of their drawer. They usually ask me what we will be eating to determine if they will need a plate or bowl and a fork or spoon. Here is a close up of CC and RJ’s drawer. I know the plastic dishes aren’t very montessorian. I have been shopping around for new dishes for them, but have not found the right ones just yet. Another small but important addition to the kitchen are two prayer frames. The kids and I include prayer throughout our day. In the kitchen, for example, we have our Morning Player and our Mealtime Prayer. The mealtime prayer frame can be seen on the picture of the kids’ dining table. CC and RJ can’t read yet but having the frame next to the table reminds us to pray before our meals. Below is a close up of our Morning Prayer frame. You might be thinking that the kitchen is an odd location for a morning prayer. I used to try to remember to pray with my children when waking up in the morning. However, CC and RJ don’t always wake up at the same time and praying is something that I want us to do together, plus some mornings can be hectic and we would often forget. The kitchen, however, is where we have breakfast every day. The first thing I do when we walk into our kitchen is open the blinds to the kitchen window, so that is where I placed the Morning Prayer frame. 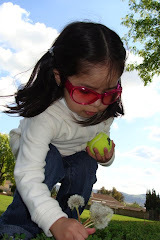 Starting our Montessori journey hasn’t only made changes to our environment. I feel that it is also improving my parenting style. I have a better understanding of CC and RJ’s developmental stages and how they see the world. We follow more of a structured daily routine and I have slowed down the pace of our days to better suit the pace of my children. I’ve always tried to do this but now I am more consistent about it. I am also taking the time to teach them to do more things for themselves. I take advantage of the many learning opportunities that present themselves throughout our days. I’ve learned that they are always watching me and learning from me, therefore, I must do my best to set a good example for them at all times. I remind myself that I am not raising children for the moment; I am raising children that will one day become independent adults. Gosh, what a great responsibility! “What are Montessori dishes?” is what a friend recently asked after reading this post. In answer to that question, there aren’t specific Montessori dishes. However, Maria Montessori believed that children should not be denied the privilege of caring for beautiful things. Therefore, it is encouraged that children are taught how to handle and use the same type of nice and breakable dishes that adults use. After all, how can children learn to treat dishes carefully if they are only allowed to use plastic ones? It is also believed that by keeping breakables away, parents might send the message that they think their children are bound to fail. In contrast, when parents teach children how to handle beautiful and breakable things, children are shown that they are worthy of trust. And yes, accidents may happen and dishes might break when handled by children, as is the case with adults. Haven’t we all broken something in the kitchen before? I know I have in more than one occasion. In addition, when accidents do happen, it can become an opportunity to show a child how to handle accidents in a calm manner and the child can then be taught how accidents are cleaned up. If you have an IKEA nearby, they have two sets of ceramic children's "play" dishes that I actually use with my daughter. Both are very reasonably priced (around $10 for 4 bowls, 4 larger plates and 4 smaller plates). Both sets are white, but one has a royal blue ring around the edge and the other has 4 different pastel colors. The pastel set has a matching tea set whereas the blue set actually comes with nice silverware. Thanks for the suggestion Amy. I did view the dishes online. Unfortunately, I did find out this week at our local Ikea that they have been discontinued. I ended up purchasing adult dishes that were reasonably priced. Hi Glenda. I'm new to your blog. I found it when Googling Montessori kid's cabinet. 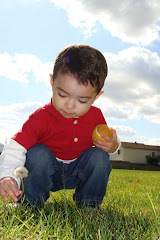 I am the Montessori MOM behind Montessori MOMents and I shared a link to your post here: http://mymontessorimoments.com/2011/08/30/child-development-period-birth-to-six/ I look forward to visiting your blog often. Thanks for sharing your Montessori journey with us.